2021 America's Cup: Entries for challengers open on 1 January 2018 and close on 30 June 2018 with late entries accepted until 31 December 2018. The America's Cup World Series will be held in 2019 and 2020 with a Christmas regatta in December 2020. The Challenger series will be held in January and February 2021 with the America's Cup match in March, 2021. The 2021-22 edition of the Volvo Ocean Race will feature two classes of boats, the IMOCA 60 and the VO65 class. Crews will race boats within their own classes and two trophies will be awarded. Volvo Ocean Race 2017-18 first leg started Sunday, October 22, 2017, in Alicante, Spain, when the teams set out to complete a total of 45,000 nautical miles of offshore racing, over a course that took in 11 landmark cities in five continents over eight months. The race finished in June 2018. 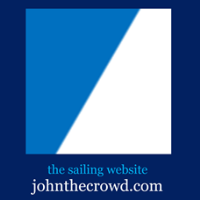 United States Sailing Association | Calendar - US Sailing - National Governing Body for the sport of sailing in the United States. The organization works to achieve this mission through a wide range of programs and events, geared towards providing an equal level playing field for all sailors.The US SAILING Offshore office administers the IRC rule in the US. Yacht owners should contact Eric Baittinger at irc@ussailing.org for help with certificate application or with rating questions. ORC - World Leader in Rating Technology - ORC Calendar: Worldwide Events - ORC: Offshore Racing Council is the sole authority for the ORC Rating System is the Offshore Racing Congress and the Rule shall be maintained and administered at ORC discretion. The roots of the ORC International handicap rule lie in the history of the International Measurement System. ORC International will continue to use the IMS platform of multiple modules from measurement to scoring. Boats required to have ORC International certificates have to be measured using all the criteria listed in IMS. See: RACING EVENTS - WORLDWIDE CALENDAR at link above.